Earth is invaded by aliens who seem to be indestructible with unbeatable weapons and a very cruel sense of humour. Can anything be done to stop the attack? Adam and Barbara Maitland are a normal couple looking forward to spending a two-week holiday at home, everything is about to go wrong though when they crash and die on the way back. They want to try to remove the new people from their house, but cannot quite figure out how to do it alone. Beetlejuice. Jack Skellington is King of Halloween town and each year they ensure that the next is more horrible and terrifying than the last. Everything is about to change though when he stumbles across Christmas town and decides that he wants to take over Christmas from Santa! The downside of going to the cinema once maybe twice a week is that you will end up going to see some bad films at some point. Or maybe not just bad, but disappointing after they have been built up so much. I have managed to see 41 films from the year 2010, so picked by 10 worst from those! Some of the films may come as a bit of a shock on the worst film list, but just how I felt watching the films. The more I have looked over my list the more it appears disappointment set in whilst really looking forward to seeing the films. Live updates with my thoughts on the 2011 Oscars! Well I made the decision to watch E! for the red carpet coverage, which I have no idea if it was a good thing or a bad thing. Ready for the Oscar ceremony to start on Sky Movies. Alec Baldwin included in the opening scenes with James Franco and Anne Hathaway. Appearing in all the best picture nominees. Brilliant start! Ahhh Morgan Freeman making a little appearance too! Very clever editing Franco and Hathaway into the films! Hugh Jackman looked like he wanted to be back on the stage! Getting the parents and grandparents involved. Very funny! Especially Franco’s grandmother saying Marky Mark! Mark Wahlberg, love it! Credit given to Christopher Nolan! Awww Kirk Douglas! Standing ovation for him. He’s just incredible for his age. Very funny with both Franco and Hathaway. Struggling to speak bless him! Now for a very over the top speech . . . Or maybe not, she actually sounds very nervous. Just dropped the f-word too. Justin Timberlake and Mila Kunis presenting. Timberlake claiming to be Banksy! Presenters Josh Brolin and Javier Bardem . . . wearing old school white tux’s. Oldest person to win that award, he hopes its broken quickly and often. Hathaway performing musical number, directed at Hugh Jackman . . . Using ‘On My Own’ from Les Mis. Franco comes on in a very pink dress. Charlie Sheen joke! He actually sounds rather nervous with his speech, Dicky Eklund is there too 🙂 Very emotional in his speech, especially towards his wife and daughter. Hugh Jackman and Nicole Kidman presenting . . . Aussie rules! 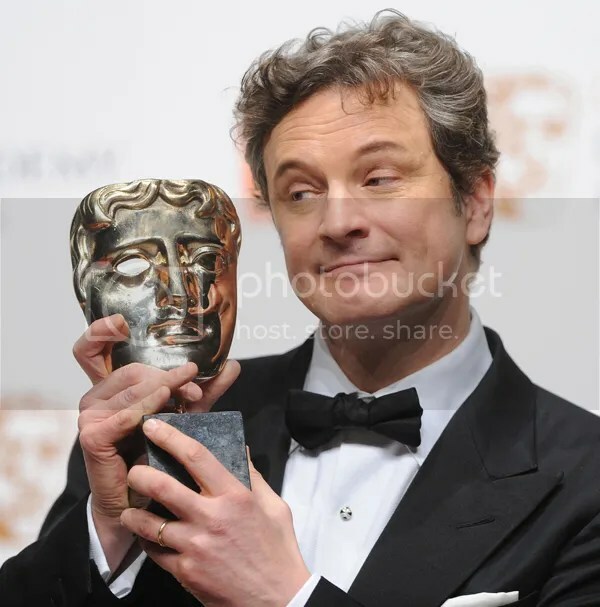 It was all about The King’s Speech last night at the BAFTA’s and it was Colin Firth’s night. Taking home the best actor BAFTA for the second year running! So pleased to see him getting award recognition now, he really does deserve it he is such a fantastic actor. Alice is now 19 years old and returns to Wonderland but has no memory of the place or anyone, will it all come back to her in the end? Will she fulfill her destiny and end the Red Queen’s reign of terror. She reunites with all of the characters from her childhood adventure which she believed was a dream. 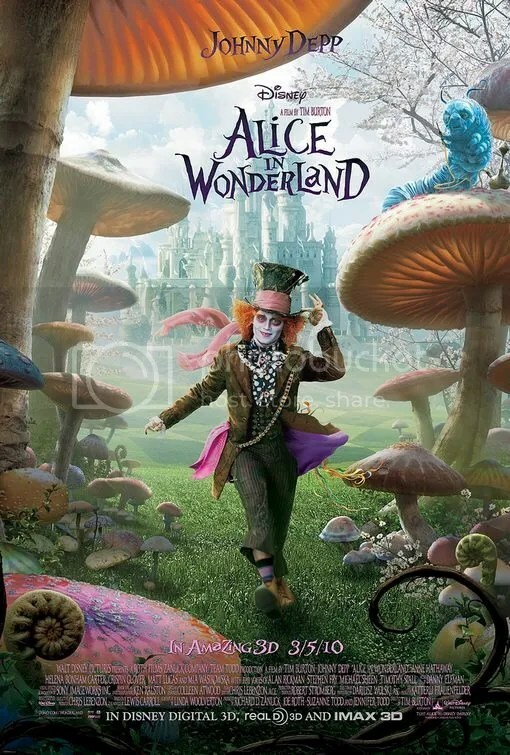 Could the Mad Hatter convince her that it was not a dream and in fact real?